uuid : c6b58712-5348-4595-9c64-154fb7673c12 templates_id: 119477 templates_uuid: "cfb7e5c9-57bb-405b-b507-81d635fb6266" title: "Change of Address Letter - Letter for Change of Address Sample" display_name: "Change of address letter" meta_keywords: "Letter for change of address or Change of address notice " description: "
Make sure that you properly notify everyone when you move home with this change of address letter. 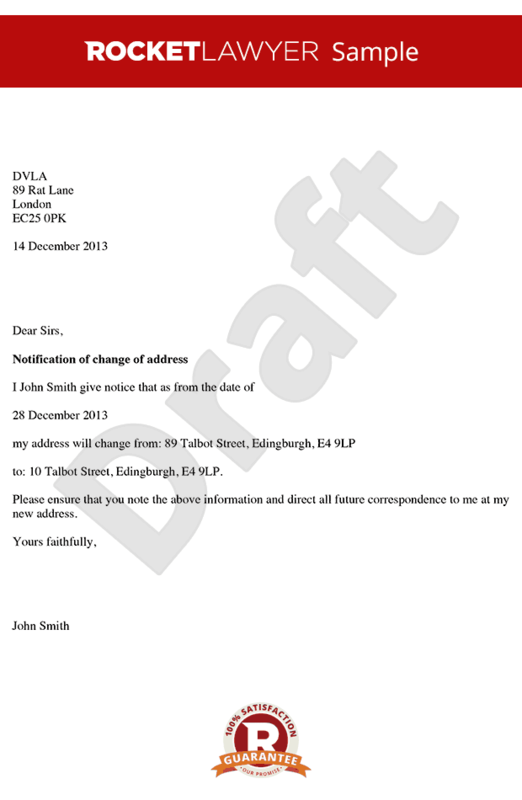 This change of address template covers the important function of notifying everyone of your change of address. Avoid being inconvenienced by not being able to arrange deliveries or at worst, being the victim of identity fraud, by notifying your bank, credit cards etc of your change of address. What is a change of address letter? A change of address letter is a letter that notifies friends, relatives and business contacts of your new address when you change home. Why do I need a change of address letter? Issuing a formal letter is the best way to inform your business contacts of the change of address. If you don\'t notify your bank, pension providers, credit cards etc of the change in address and note that the organisation has replied, acknowledging receipt, you could find yourself at worst, the victim of identity fraud or at the least inconvenienced by not being able to arrange deliveries or even credit. Can I use this letter to notify a change of business location? Yes, this letter can be also be used if your business location changes. Sending this letter will ensure that clients and customers know where to find you. \r\n\r\n" created_timestamp: "2018-10-08 04:36:14.0" modified_timestamp: "2018-10-08 04:36:14.0" active: true created_by: 104 modified_by: 104 dcm_id: 287 url_slug: "Change-of-address-notice" meta_description: "Prepare a change of address letter when you move home to notify everyone that you have moved with simple guidance from Rocket Lawyer. It is important to notify everyone of your change of address when you move. Try this change of address template." time_to_complete: "10 minutes"
If you don't notify your bank, pension providers, credit cards etc of the change in address and note that the organisation has replied, acknowledging receipt, you could find yourself at worst, the victim of identity fraud or at the least inconvenienced by not being able to arrange deliveries or even credit. More than just a Change of address letter template, our step-by-step interview and guidance makes it easy to create your document. Easily create online, download, print and sign your free Change of address letter in minutes. This document is also sometimes called: Letter for change of address or Change of address notice .